Tara brings a true competitive nature to her clients while helping them navigate through difficult times. Clients are drawn to Tara’s passionate advocacy and honesty from the first meeting. Tara derives a deep satisfaction from arming potential clients with the proper tools to ready themselves for litigation. Tara’s experience as a criminal prosecutor brings a unique perspective to family law. She has tried cases in various courtrooms throughout the State of Iowa. 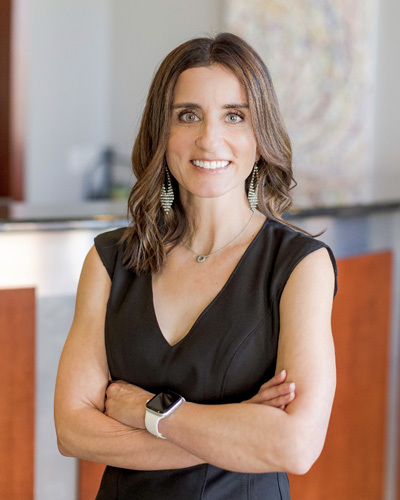 Tara practices primarily in the areas of divorce, child custody, visitation and child support litigation; criminal defense–from traffic tickets to felonies; and personal injury. Tara received her Bachelor of Science from Iowa State University in 2004, majoring in English, with an emphasis in rhetorical studies. While at Iowa State, she was able to attend an intensive foreign language program at the Universidad Internacional in Cuernavaca, Morelos, Mexico. She earned her Juris Doctorate from Drake University Law School in December 2006 and sat for the February 2007 bar exam. Prior to joining the firm in January of 2012, Tara was an Assistant Marshall County Attorney in Marshalltown, Iowa. While prosecuting, Tara also served on the Board of Directors at Child Abuse Prevention Services.